Even if one believes Secretary of State Powell's claims that the bogus report was not the result of politically motivated misrepresentation, the incident is emblematic of the Bush administration's grandiose claims of progress against terrorist factions, and of making the nation safer, while its actions and policies have made the world a very much more dangerous place. Journalist and author Peter Bergen recently interviewed more than a dozen experts on foreign policy, terrorism, and the Middle East for Mother Jones magazine. Kenneth Pollack, author of The Threatening Storm: The Case for Invading Iraq, told Bergen "My instinct tells me that the Iraq war has hindered the war on terrorism. You had to deal with al Qaeda first, not Saddam. 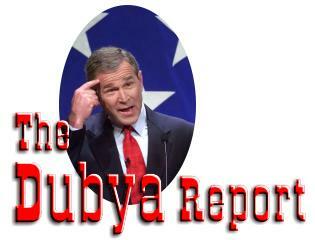 We had not crippled the al Qaeda organization when we embarked on the Iraq war." Rohan Gunaratna, one of the world's leading authorities on al Qaeda, observed, "sadness and anger about Iraq, even among moderate Muslims, is being harnessed and exploited by terrorist and extremist groups worldwide to grow in strength, size and influence." The expert consensus: not only has the war in Iraq hampered efforts to combat al Qaeda, but it has created a new front for terrorist attacks, created a new justification for attacking Westerners, and accelerated al Qaeda's transformation from faction to ideological movement -- in Bergen's words "from bin Laden to bin Ladenism." Purported links between al Qaeda and Saddam Hussein. "You can't distinguish between al Qaeda and Saddam when you talk about the war on terrorism," Bush claimed in September 2002. "They're both equally as bad, and equally as evil, and equally as destructive." Claims that Iraq possessed weapons of mass destruction and the capability to deploy them imminently against the US. "The attacks of Sept. 11, 2001, showed what enemies of America did with four airplanes. We will not wait to see what ... terrorist states could do with weapons of mass destruction," Bush said. Given the first two premises, the third followed logically -- fear that Saddam Hussein would turn over his weapons of mass destruction to al Qaeda, that ""alQaeda becomes an extension of Saddam's madness and his hatred and his capacity to extend weapons of mass destruction around the world." As the 9/11 Commission Report definitively stated, "...to date we have seen no evidence that ... contacts [between Iraq and al Qaeda] ever developed in to a collaborative operational relatioship. Nor have we seen evidence indicating that Iraq cooperated with al Qaeda in developing or carrying out any attacks against the United States." Buried in a footnote on page 470 is the revelation that "the most detailed information alleging such ties came from an al Qaeda operative who recanted much of his original information." But with deadly irony, al Qaeda-like groups, Iraqi and foreign, are now well established in Iraq, according to Bergen and others. Former CIA operative Larry Johnson, who now advises the US military on counterterrorism, told Bergen "Prior to 2003 and our invasion, Iraq rarely figured on the international terrorism charts. Now Iraq has the third-largest number of terrorist fatalities after Israel and India." We've noted elsewhere in The Dubya Report that military academics, including Dr. Jeffrey Record of the Army War College, assert that it is a strategic error to conflate rogue states and terrorist groups. Terrorists, whose allegiances are often to a cause, not a state, are not susceptible to deterrence measures the way that states -- who typcially have tangible assets and infrastructure -- can be. In early 2000, among those arguing that Iraq could be deterred was Condoleezza Rice, now Bush National Security Advisor. Writing in the journal Foreign Affairs in January 2000, Rice suggested that Iraq was susceptible to deterrence measures because any use of weapons of mass destruction would result in "national obliteration." The 2002 National Security Strategy stated that the events of September 11, 2001 "taught us that weak states, like Afghanistan, can pose as great a danger to our national interests as strong states. Poverty does not make poor people into terrorists and murderers. Yet poverty, weak institutions, and corruption can make weak states vulnerable to terrorist networks and drug cartels within their borders." But when it invaded Iraq without considering the State Department's detailed plans for a functioning postwar state, the Bush administration created exactly the conditions it warned about. By excluding former Baath party members from participating in the rebuilding of Iraq, the Bush administration destroyed the existing Iraqi governmental structure without providing a replacement. And by disbanding the Iraqi army, as the New York Times' Edward Wong wrote, the Bush administration left "behind a pool of disgruntled men trained in killing." These groups act as fertile ground for the foreign jihadists streaming into the country. "For many Iraqis the American legacy in Iraq will be the birth of terrorist and insurgent groups, and the failure to control them." Iraq is "open to terrorism in a way that it was not before," said Judith Yaphe, who was the senior CIA analyst for Iraq during the first Gulf War. "The lack of central authority makes it more amenable to terrorists," she added. As one senior counterterrism official put it, "We've created the World Series of terrorism." The current situation in Iraq is eerily reminiscent of Afghanistan in the 1980s. A superpower (the Soviet Union) invaded a poor Islamic nation. An indigenous guerrilla movement responded with AK-47s and rocket propelled grenades. Out of this hotbed of jihadist sentiment emerged Osama bin Laden. The US inability to stablize Iraq following the now infamous end of "major combat operations" have created very similar conditions, according to experts on terrorism including the RAND corporation's Bruce Hoffman. "Porous borders, large areas of the country with no clear legal authority, and other areas occupied by well-armed groups that are not under Iraqi government control have created a veritable haven for terrorists. Unfortunately Iraq has become a cause célèbre for radical jihadists the way that Afghanistan did a decade and a half ago," Hoffman told the New York Times earlier this year "You've got a lot of the same conditions that allowed Afghanistan to become a hub for terrorists." The failure to control borders is particularly dangerous, as radical fighters from Iran, Syria, and Saudi Arabia have entered Iraq. Falah al-Naqib, the new Iraqi interior minister, told the New York Times that suicide car bombs were evidence a that foreign fighters had infiltrated Iraq. "Iraqis do not use such tactics," he said. "The U.S. military continues to see small numbers of foreign fighters coming through the porous borders of Syria and Saudi Arabia," an unidentified "senior American military official" told the Times. "Financial support continues to come from Saudi Arabia through various financiers to terrorist networks and through Syria via couriers." Similarly to the way routes were used by mujahedeen to enter Afghanistan, radical fighters enter Iraq through old smuggling routes that follow tribal connections. "I think terrorism has come to Iraq as a result of the war," Ahmed Hashim, a professor at the United States Naval War College who studies the Sunni insurgency in Iraq said. "The country has unpatrolled and open borders, so all kinds of extremists who want to fight America have an excellent playing field to do so now." Writing on a web site designated "jihadist" by the US government, Dr. Hani al-Sabi referred to Iraq as "a battlefield and a fertile soil for every Islamic movement that views jihad as a priority." Iraq is "a better place" to wage jihad than was Afghanistan, wrote al-Sabi, "in terms of the language, features of the people, and popular sympathy -- whether in Iraq's Sunni regions or its neighboring countries." While few in the resistance are actual members of al Qaeda, "Nevertheless, the role of al-Qaeda and its sympathizers in Iraq is more like the salt of the earth and it's reminiscent of the role of Arabs in Afghanistan who lifted the spirit of the Afghan people, who fought and sacrificed thousands of martyrs." Al-Sabi described a coalition of previously disparate factions: mujahedeen, ulema, political and military experts from the vestiges of the Hussein regime, united with jihadist factions from throughout Iraq. "Even if the U.S. forces capture all leaders of al-Qaida or kill them all, the idea of expelling the occupiers and nonbelievers from the Arabian Peninsula and all the countries of Islam will not die." Perhaps of greatest concern for international relations over the long term, the war in Iraq may have convinced a majority of Muslims around the world that the so-called war on terrorism is a war on Islam. The Iraq war "appears to be clear evidence to many that the perception of the militants is in fact accurate and that the ummah [the Muslim world] is engaged in a war of self defense," Jason Burke, author of Al Qaeda: Casting a Shadow of Terror told Bergen. "This has theological implications -- jihad is compulsory for all Muslims if the ummah is under attack." There are deadly practical implications for Burke's theological analysis, as well. Bergen noted that the Koran contains two kinds of justifications for holy war -- one that permits offensive attacks against infidels, and a second set of defensive principles that pertain when Muslim land is under attack from non-Muslims. The defensive justification is considered more legitimate by most Muslims, Bergen observed, and was the argument used to justify jihad against the Soviet occupation of Afghanistan in the 80s. The war against the Taliban following the terrorist attacks of Septebmer 2001 was acknowledged by many Arabs and Muslims as a just war. Al Azhar University in Cairo, which Bergen likened to a Sunni Muslim "Vatican," calling it "the pre-eminent center of Muslim thought, condemned the 9/11 attacks, as did prominent Lebanese scholar Sheikh Fadlullah from the Shiite side. But prior to the Iraq war Al Azhar issued a fatwa, or ruling on Islamic law, asserting that if "crusader" forces attacked Iraq, it was the obligation of every Muslim to resist -- a call echoed by Sheikh Fadlullah. The Iraq war "serves as a real rallying point," former FBI counterterrorism official Harry "Skip" Brandon told Bergen, "not just for the region, but also in Asia. We've seen very solid examples of them using the Iraq war for recruiting.... The Iraq war is a public relations bonanza for al Qaeda...." Bergen suggested that Egyptian President Hosni Mubarak's prediction that the Iraq war would create "a hundred bin Ladens" may be close to the truth. Despite Bush administration claims of "good progress" in their efforts to combat terrorists, al Qaeda is "fully reconstituted" with a "new and effective modus operandi," operations in perhaps 90 countries, and "over 18,000 potential terrorists still at large," according to a May report by the London-based International Institute for Strategic Studies. This should be no surprise, because human and technical resources that had been dedicated to the hunt for al Qaeda leaders were diverted to prepare and execute the war in Iraq starting as early as January 2002. Redeployed resources included Special Operations soldiers with Arabic-language training, unmanned Predator spy planes, and satellites that had been focused on the Afghan-Pakistan border. The Special Operations troops returned to Afghanistan only after the capture of Saddam Hussein, giving al Qaeda leaders a year and a half to operate without interference from what some have called the US military's key asset in the search. In the interim, al Qaeda forces disappeared into the border region where they have managed to remain hidden while organizing attacks around the world. Whether from a mountainous redoubt along the Afghan-Pakistan border, or from parts unknown, bin Laden and his lieutenant Ayman al-Zawahiri have continued to instigate terrorist attacks around the world. October 2002, bin Laden called for attacks against Western economic interests. A French oil tanker and a disco in Bali that catered to Western tourists were bombed. September 2003, Zawahiri denounced Pakistani president Musharrag's support for the US campaign against al Qaeda. In the following months Musharraf narrowly survived two assassination attempts. Late 2003, bin Laden called for retaliation against members of the US-lead coalition in Iraq. A police barracks in Italy, the British consulate in Turkey, and commmuter trains in Spain were subsequently attacked. The war in Iraq has split the allies, not the terrorists. It has turned Iraq into a Mecca for international terrorists, and mobilized local Shiite and Salafi jihadist groups that had previously posed a minimal threat. It has facilitated connections between terrorists and those with formal military experience in Saddam's army, the lethal nightmare that the invasion was supposed to have thwarted. Antipathy toward the United States, not only in Iraq and throughout the entire Islamic world, but in Europe as well, has become a dangerous trend exploited by terrorists. Even as we tout our successes in rounding up al-Qaida terrorists, the broader movement inspired by bin Laden and ignited by the invasion of Iraq is recruiting new nihilist minions throughout the world. The war in Iraq has not only been a distraction from the war on terrorism; it has strengthened our enemies in ways that continue to surprise and horrify us. Although branded a "War against Terrorism" by the US, the fight is against a radical ideology producing Muslim youth willing to kill and die and wealthy Muslims willing to support and suffer incarceration. For the Al Qaeda umbrella - the World Islamic Front for Jihad Against the Jews and the Crusaders - the fight is against a civilization. The reality is that, it is a fight between the vast majority of progressive Muslims and the miniscule percentage of radical Muslims. It is not a clash of civilizations but a clash among civilizations - a fight that must essentially be fought within the Muslim world. While the immediate (1-2 years) consequences are apparent, the mid (5 years) and long term (10 years) consequence of fighting primarily an ideological campaign militarily is yet to be seen. All indications are that Islamism - whether it is in Turkey, Pakistan, Malaysia, or in Indonesia - is moving from the periphery to the centre. US intervention in Iraq has spiked the ideological fuel prolonging the strength, size and life of Islamist political parties and terrorist groups. The 9/11 Commission Report New York: W.W. Norton & Co., 2004. See particularly page 66 and Chapter 2, footnote 76. Gunaratna, Rohan "The Rise and Decline of Al Qaeda" Statement before the National Commission on Terrorist Attacks Upon the United States [9/11 Commission]. 9 Jul. 2003. See also The Dubya Report's Mission Accomplished the New York Times editorial from September 2, 2004, and the Comprehensive Report of the Special Advisor to the DCI on Iraq's WMD.